The National Cadet Corps (NCC) has its genesis in the ‘Univerity Corps’, which was created under the Defence Act, 1917 with the object to make up the shortage of the Army. In 1920, when the Indian Territorial Act was passed, the ‘University Corps’ was replaced by the ‘University Training Corps’ (UTC). In 1942, the UTC was renamed as the ‘University Officers Training Corps’ (UOTC). The need to create a youth organisation at National level to train the young boys and girls to be better citizens and future leaders of our great country in all walks of life, including Defence forces, was rightly realized by our leaders. A Committee under Pandit HN Kunzru was set up in 1946 at the behest of our first Prime Minister, Pandit Jawaharlal Nehru. 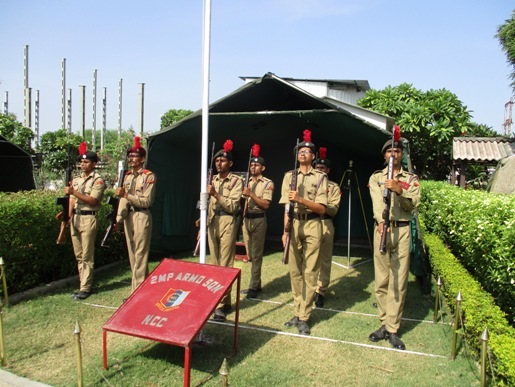 The NCC came into existence on 16th July, 1948 under the NCC Act XXXVI of 1948 under the Ministry of Defence.